The Abercrombie & Fitch as we all know it today is very much a case of ‘same planet, different world’ compared to the retailer as it used to be. The ubiquitous mall brand staffed by (and catering exclusively to, if they had their way) flawless and beautiful 19 year-olds, was once the self-proclaimed ‘Greatest Sporting Goods Store in the World’. Established in 1892 and setting up shop in Lower Manhattan, it quickly grew until it occupied 12 sprawling floors on Madison Avenue at 45th St, New York City. This was where the great hunting and exploration expeditions of the time began. Teddy Roosevelt geared up for his Africa and Amazon voyages here. Amelia Earhart and Charles Lindbergh were regular clients. 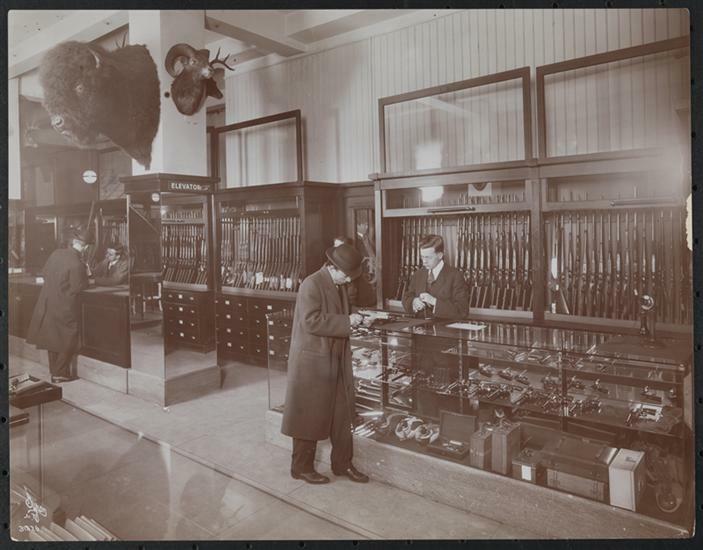 Presidents Hoover and Eisenhower came for their fishing equipment; Hemingway for his guns. Bing Crosby, Clark Gable, Garbo and Hepburn—they all stopped by A&F for everything from snake proof sleeping bags to hot air balloons. Nestled somewhere in amongst the store’s shooting range and the swimming pool big enough for fly fishermen to practice their casting, was the resident watchmaker, employed to service the range of timepieces they sold. Abercrombie & Fitch stocked the kinds of watches made for adventurers; robust, waterproof chronometers for swimming, models with built-in alarms or those with dual time zone functions. 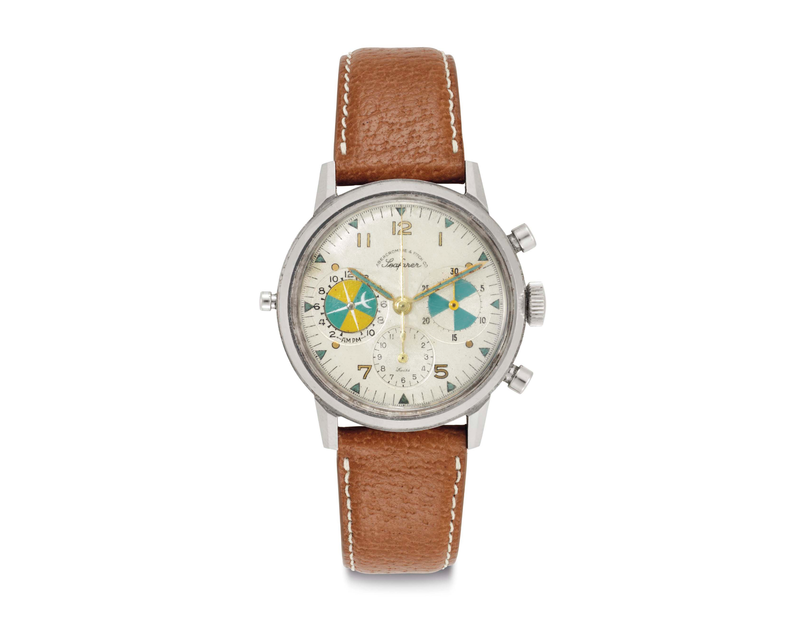 By the mid-1940s, the store had begun a collaboration with Heuer of Switzerland, the manufacturer producing a number of watches for A&F to sell under their own label. Starting with a series of high-end tricompax chronographs, by the end of the decade the retailer commissioned a new model aimed expressly at hunters and fishermen, designed around John Alden Knight’s ‘Solunar Theory’. The U.S. naturalist had speculated in the 1930s that the relative positions of the sun and the moon, and therefore the tides, had a definite effect on the movement of fish and animals and could be used to predict the best times of the day and month to hunt. Heuer’s new watch, named the Solunar, displayed high and low tide times at the wearer’s specific location on a colorful sub dial, to give sportsmen the best odds. Unfortunately, as useful as it was (and future legendary CEO Jack Heuer called it his first real contribution to the family business, at the tender age of 15) it never caught on with its intended audience. It was swiftly discontinued, with only around 1,000 pieces being made. All was not lost however, as the technology gave rise to another timepiece which is enjoying a real resurgence on the vintage market. Heuer decided to build on the Solunar concept by tacking on a three-register chronograph, generally one of the most useful of any complication, with the tides indicator taking the place of the running seconds counter at the nine o’clock position. The resulting all-new model was christened the Seafarer. It debuted in 1950 and proved itself a far more successful proposition than its forerunner, staying in production for more than 20 years. Over that time it went through some significant redesigns, the earlier models housed in simple, dressy cases much like Heuer used for their Carrera range, before graduating through to the heavier, tool-like style with rotating bezels of the brand’s well-loved Autavia. In all, there were 10 separate references, all powered by modified Valjoux movements. For the tide function in the original Solunar, Jack Heuer had actually enlisted the help of his high school physics teacher to assist in calculating the math and mechanics, and taking that work and adding the chronograph was a comparatively modest step. The first Seafarers were driven by a version of the company’s long proven workhorse the Valjoux 71, a fairly large caliber that lent it a natural strength, perfect for life in an adventurer’s watch. It graduated to the smaller Valjoux 72 in the model’s second iteration. While the overall look of the piece changed quite dramatically over its two decade run, it remained faithful to many of its design touches. Its color scheme stayed consistent, particularly on the tide disc. High tides were depicted by blue to represent water, while low tides were in yellow on the early versions, then white, to denote sand. 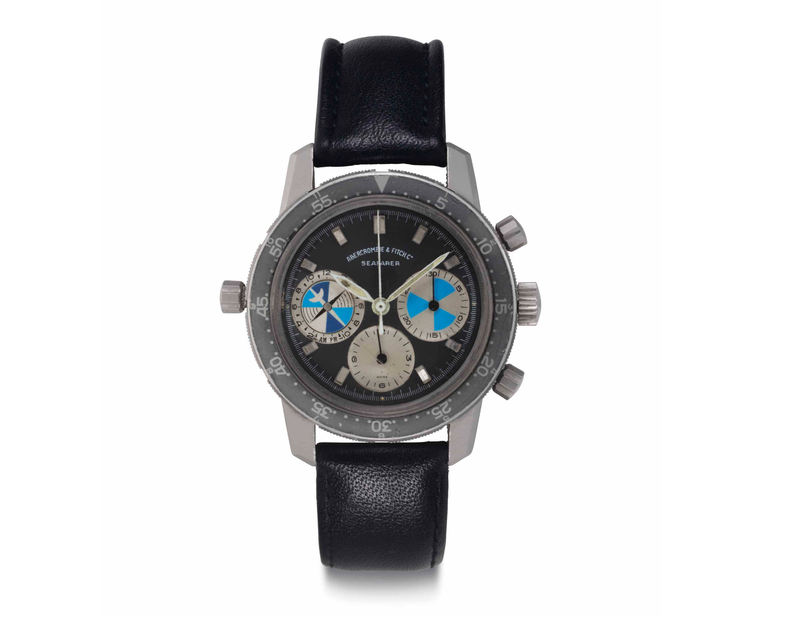 The chronograph minutes counter opposite it at the three o’clock had a similar makeup, lending the dial a nice symmetry. In 1962 Heuer launched the Autavia, with the ref. 2446, and its rugged 39mm body, waterproof to 330ft, became the ideal new home for the Seafarer as well around a year later. It had only a brief stay there to begin with, the nomadic A&F model going on to use the case of the first Carrera which was released soon after. It settled with the Carrera until 1968, and from then to when the watch was finally discontinued in the mid-70s, it reverted back to the Autavia when Heuer introduced the compressor case—a snap back design that becomes tighter under increasing water pressure. These final references were the first to give the Seafarer a black dial, and the unidirectional rotating bezel became available with an engraved tachymeter to reflect the period’s obsession with motorsport. Compared to names like the Carrera, the Autavia or the Monaco, the Seafarer is most certainly the dark horse chronograph in the Heuer lineup. Outside of fairly serious collector circles you will struggle to find anyone who has even heard of it, and it is that level of anonymity that, ironically, attracts vintage horology enthusiasts. 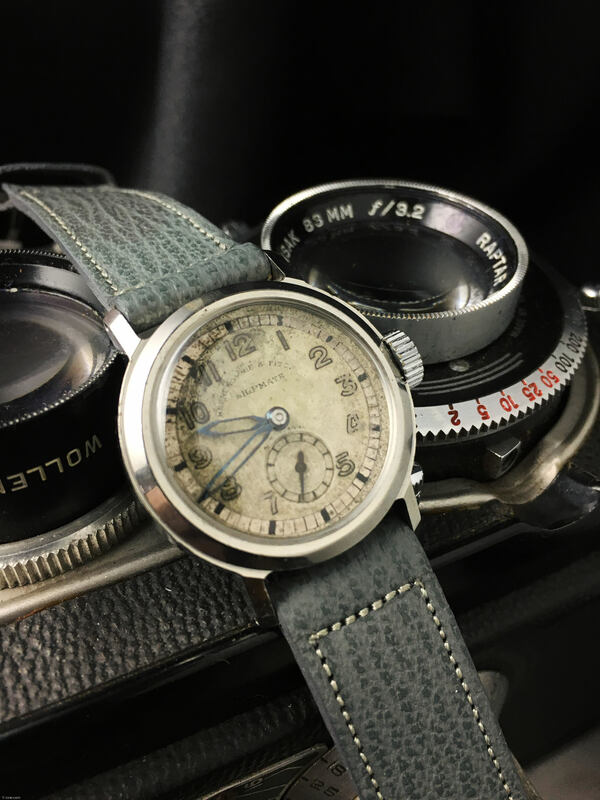 Coupled with the offbeat but highly practical complication, the distinctive coloring and the fact no one seems to be entirely sure how many of the Abercrombie & Fitch pieces were actually made, and it all adds up to a watch that is becoming a real favorite among fans. A model for hunters, fishermen, explorers or just those who appreciate the art of mechanical watchmaking, it deserves its place among the brand’s finest.